It may have been a while since we've heard from Monica Lewinsky (R.I.P. Mr. Personality) but the former white house intern is now adding "esteemed speaker" to her CV. She'll be giving a talk about bullying and social media on March 19th. According to The Hollywood Reporter, Lewinsky's bio bills her as an activist who "advocates for a safer and more compassionate social media environment, drawing from her unique experiences at the epicenter of a media maelstrom in 1998." 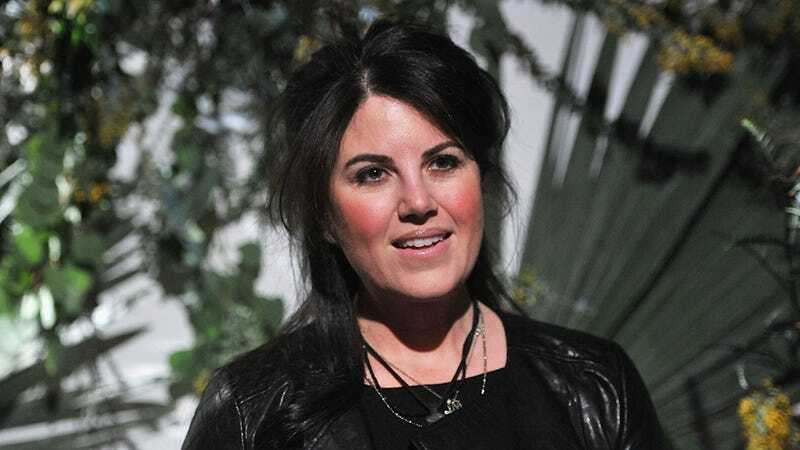 Presumably basing her talk on her experience after her affair with former president Bill Clinton, Lewinsky will draw upon her own journey, speaking about the humiliation she suffered as one of the first targets of a very early and unfocused social media. She's already written an essay about the experience and spoken at other conferences about how to beat the "shame game" as someone who's been there firsthand. Now she'll be speaking to a larger audience and bringing her messages to hundreds of thousands of people all around the world. The speech will be filmed in Vancouver.